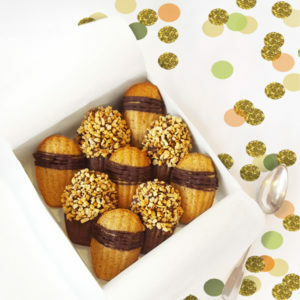 with a touch of Ooh la la! 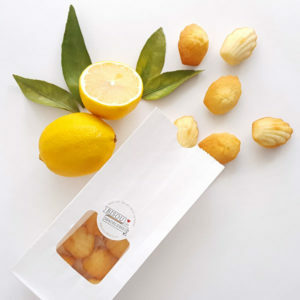 prepared with locally sourced and natural ingredients. 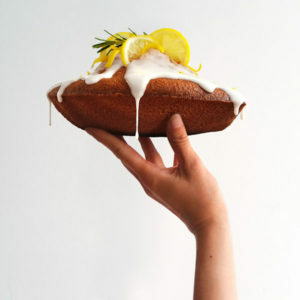 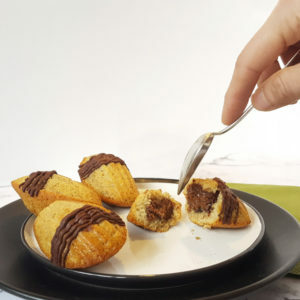 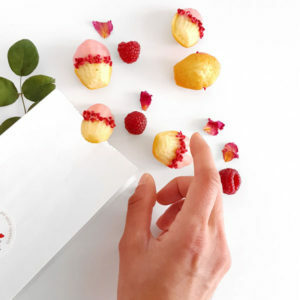 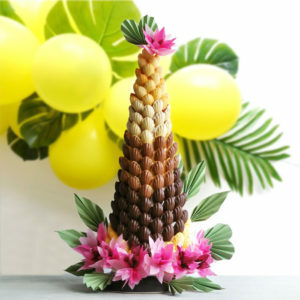 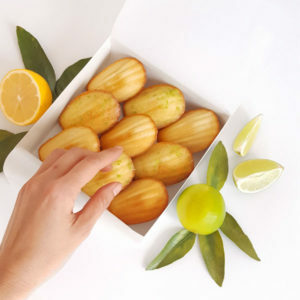 Bisou cakes are the perfect way to say ‘Merci’, to treat your friends at your dinner party, or to make your corporate event an unique tasting experience. 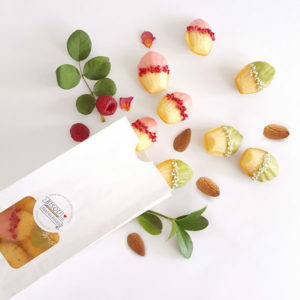 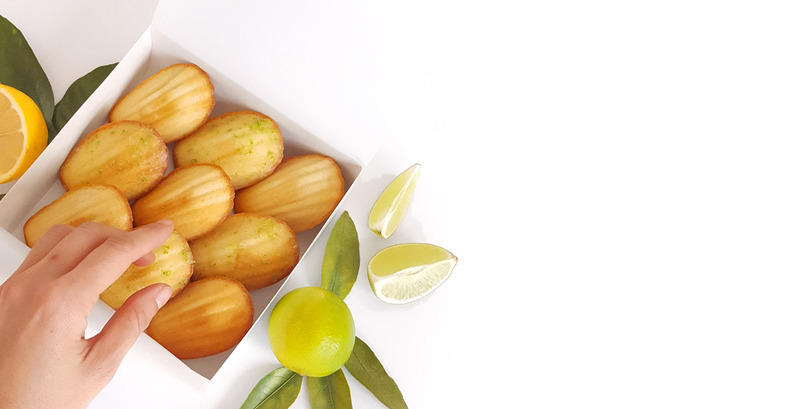 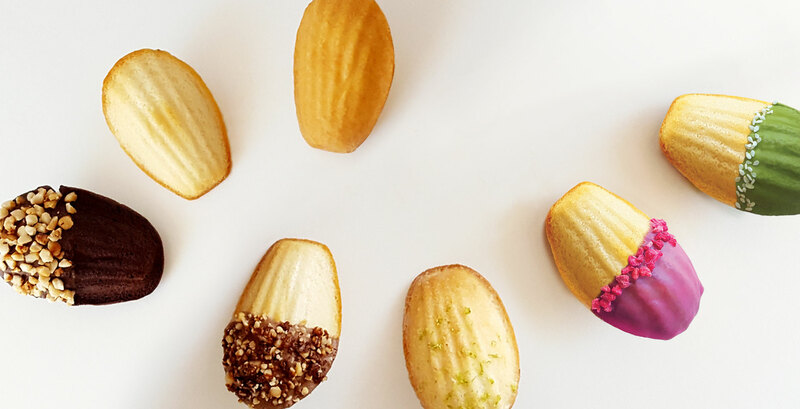 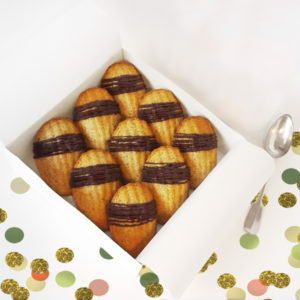 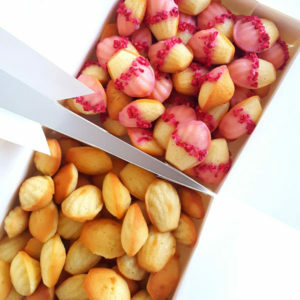 All our Madeleines are always baked on demand, so your lips only meet the freshest… Just another reason to be naughty in a French fashion way!